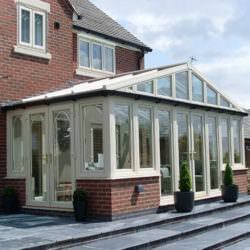 Gable conservatories will enhance any property by giving it an impressive, stately feel. The uPVC gable conservatory is a classic design which offers unrivalled aesthetics and year-round performance. 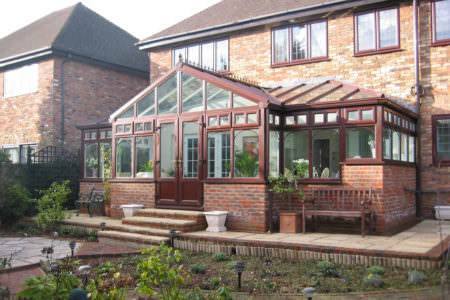 The gable conservatory has a stunning high vaulted roof. The roof meets in the middle of the structure creating a triangle like shape. 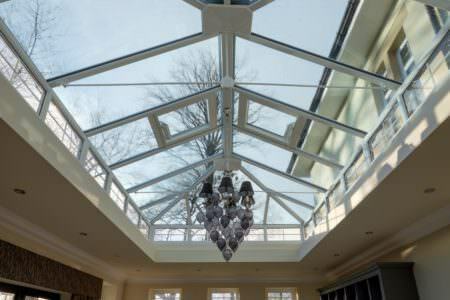 Best suited to high-ceilinged homes, the gable conservatory has an elevated front which extends all the way to the apex of its roof. 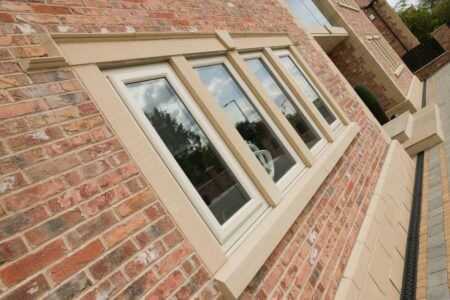 These stylish front elevations offer a stately, grandeur feel perfect for period homes. 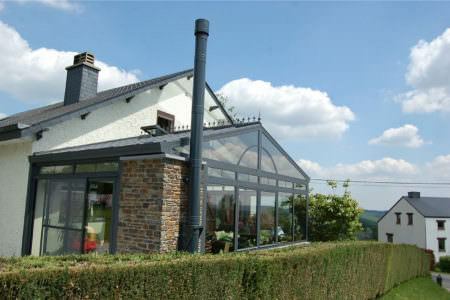 The gable conservatory offers a truly impressive structure. 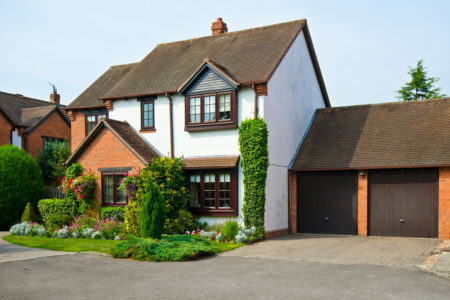 Its lofty high roof and symmetrical design provides great aesthetics. 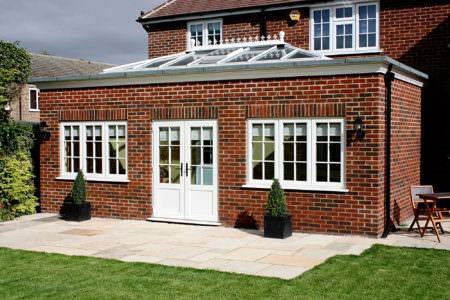 Gable conservatories can be chosen in a variety of decorative finishes including the famous ‘sunburst’ effect. 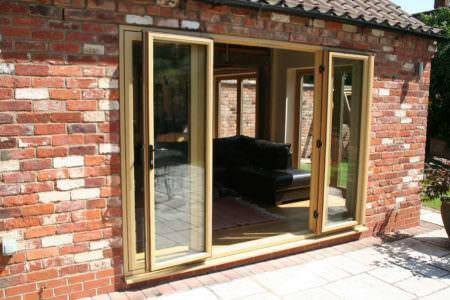 This is another adaptable design that can be made to suit your property requirements. 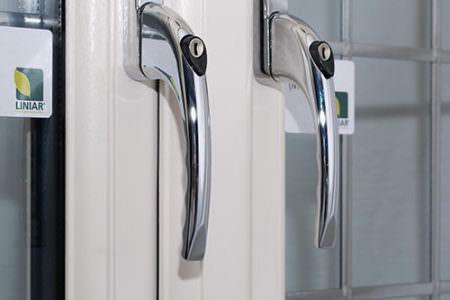 It can be fitted into a wide range of properties, adding a touch of grandeur to the most modern of homes. 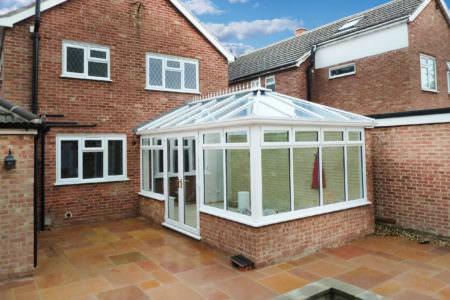 The gable conservatory gives you floor to roof light. The windows extend up to the apex of the roof enhancing sunlight and flooding your conservatory with a bright and airy atmosphere. 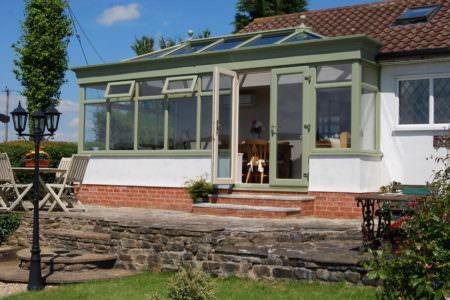 Designed in the Edwardian style, the Gable conservatory provides a generous amount of floor space. 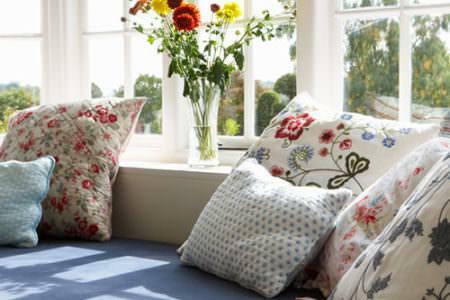 This gives you complete flexibility when it comes to decorating the interior. 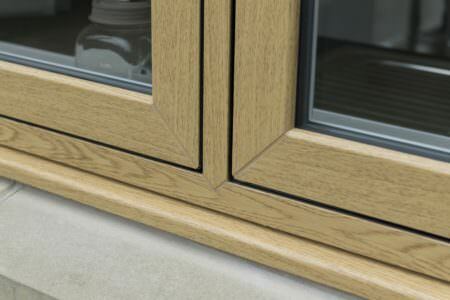 Gable conservatories give you a wide variety of glazing options including decorative options. 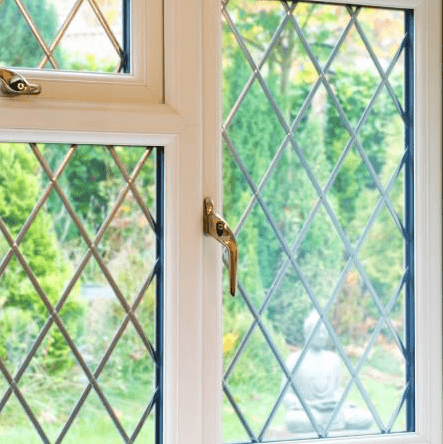 You decide to keep finishes to a minimum or if you want to enhance grandeur then you can opt for detailed glazing effects such as Georgian bars and stained or leaded glass. There are many window and door options with a gable conservatory. 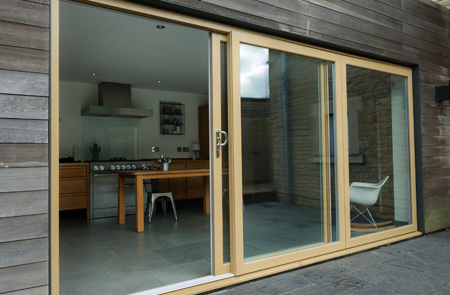 The most popular being bi-folding patio doors and elegant French doors. The gable conservatory presents you with a multi-purpose space you can use all year round. Whether you choose to use the space as a living room, family room or dining area, the gable gives you complete flexibility. 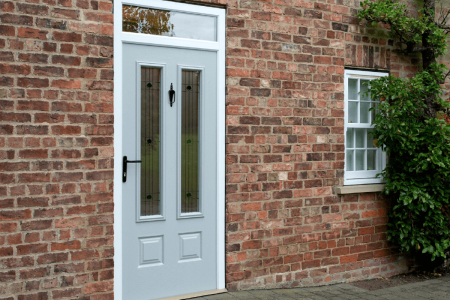 You can choose from a wide range of colour options to match your property style. 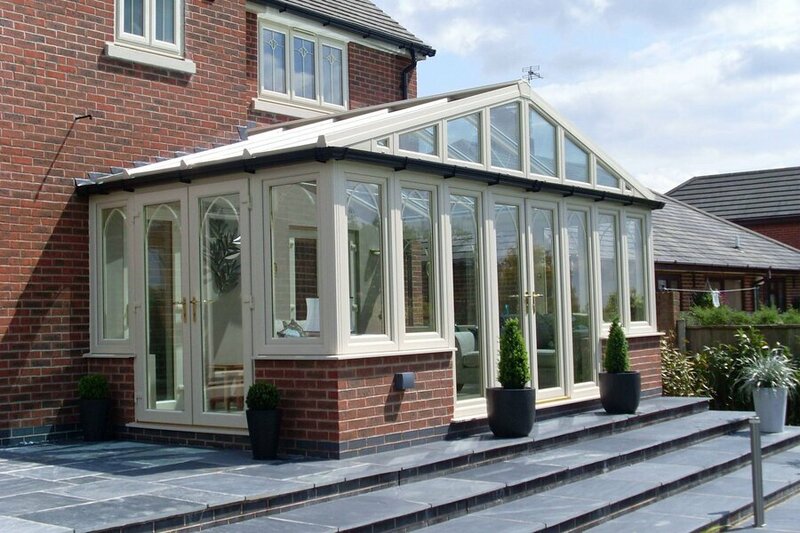 Your chosen conservatory installer will present you with a multitude of attractive options to complement your property – and budget. 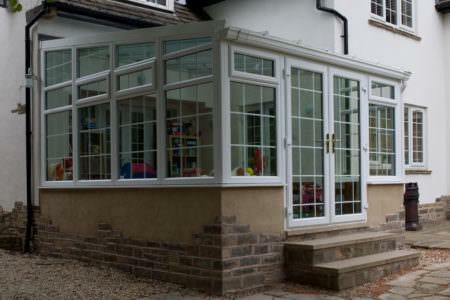 Make a statement with a classic uPVC gable conservatory. 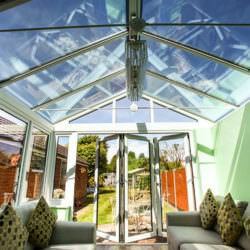 Nothing compares to the beauty of a Gable conservatory which is in a league of its own. Its stunning vertical roof design will capture the eye of any beholder. 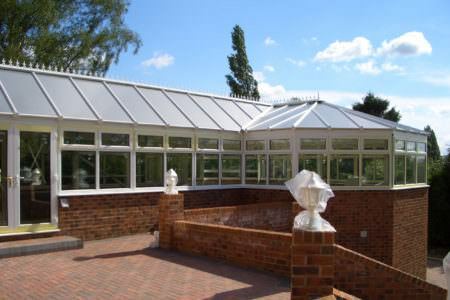 The modern Gable Conservatory takes its influence from the Georgian style which dates back to the 17th century. 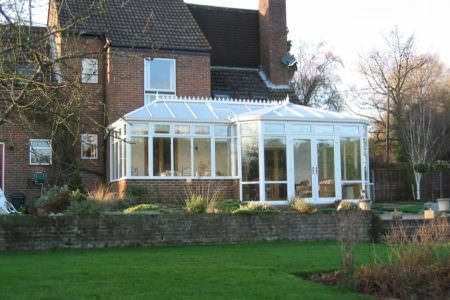 Often referred to as a ‘classic piece of British heritage’, the Gable End Conservatory has a very stately feel and is often chosen to enhance a property’s period feel. 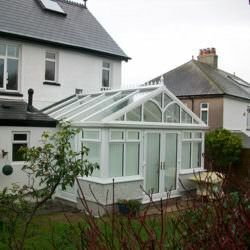 Unlike other traditional conservatory styles such as the Victorian and Edwardian Conservatory, Gable Conservatories feature a high vaulted roof. 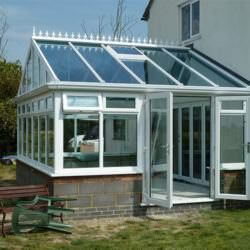 With Gable Conservatories, the front of the roof does not slope back towards the centre. The roof instead, meets in the middle of the structure and stays upright – similar to the roof of a house. 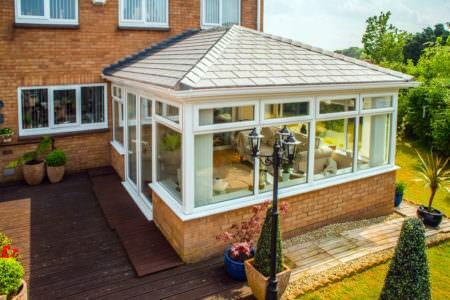 This beautiful and unique sloping roof is an attractive feature and is what makes the Gable Conservatory so impressive in the eyes of onlookers. 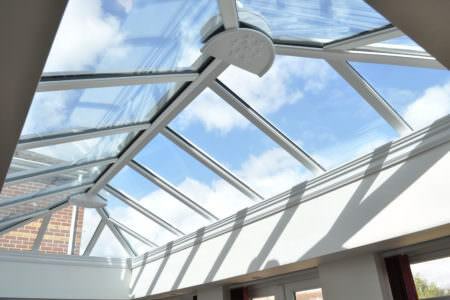 Combining form with function, the high vaulted conservatory roof enhances all available light and provides an extremely bright and airy atmosphere. 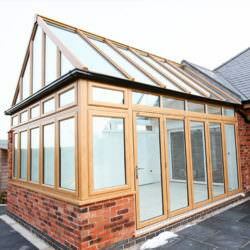 Gable Conservatories are often recommended for high-ceilinged homes because they are elevated at the front, with windows extending all the way to the apex of the roof. 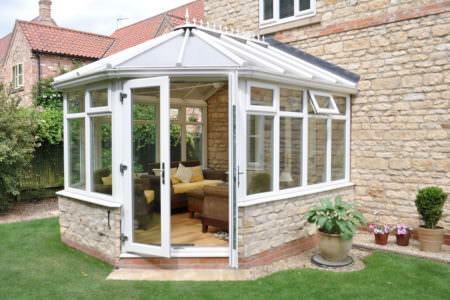 A very versatile conservatory style, the Gable conservatory is available in a variety of decorative finishes. One of the most popular style choice is the famous sun burst effect, where the glazing of the roof incorporates the image of a rising sun. 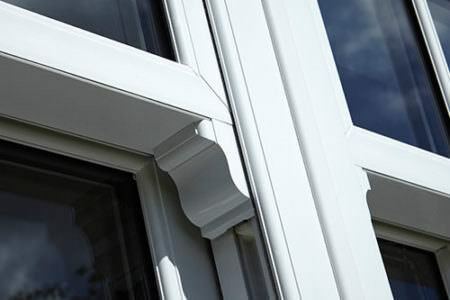 The uPVC Gable Conservatory will greatly complement traditional style properties, particularly those from the Georgian period. 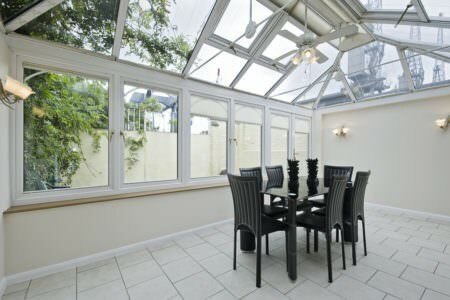 It is an excellent choice of conservatory for maximising available light and space whilst maintaining an air of elegance. However, any home can benefit from this impressive conservatory style – new builds can also benefit from the Gable conservatory too. 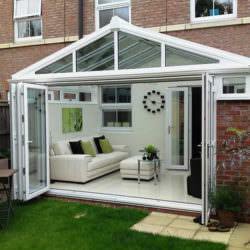 It is a very versatile conservatory style and its rectangular construction provides a spacious floor plan so when it comes to décor, you won’t be limited. 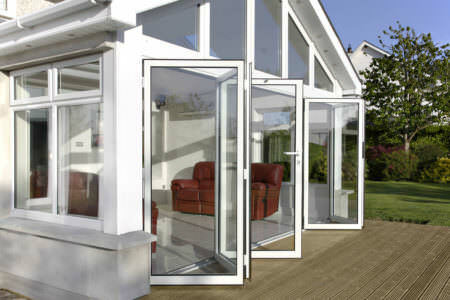 Bungalows and height-restricted properties can also benefit from this conservatory style. The only difference being, a hipped-back roof with a box gutter may be required. 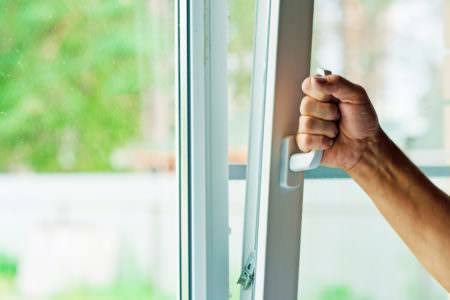 Double Glazing On The Web gives you free online conservatory prices. 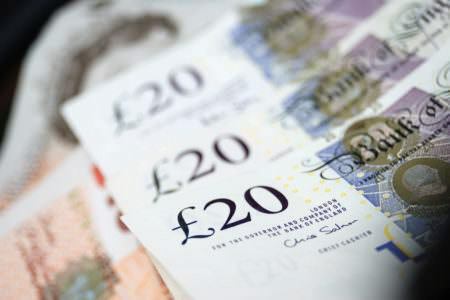 Our conservatory cost calculator gives you instance access to a range of conservatory styles and prices. Start your free Gable conservatory quote today.